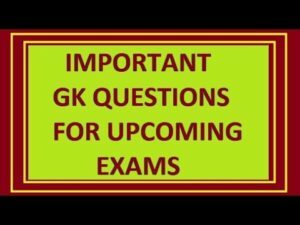 General Knowledge questions on Indian GK for Bank PO, IBPS, Bank Clerical And Date wise 10-02-2018 questions for bank exams, very important computer-related questions for Bank PO, SBI PO, IBPS,RAS, IAS, UPSC, RPSC, 1st, 2nd, 3rd Grade Teacher, REET CTET, LDC, SSC CGL, IBPS, MBA, CAT, MAT, SBI-PO, RBI And Railway, Indian Army And all competitive Exams, and Most expected Computer Question Papers with answers. These Questions are most commonly asked in Other Banking Exam, And All subject Wise Notes and Math, Hindi, English, History, Political Science, Psychology, Sanskrit Related Study material. Question (1) India’s most zinc productive state? भारत का सर्वाधिक जस्ता उत्पादक राज्य है? Question (2) Which is the largest producer of bauxite in India? भारत में बॉक्साइट का सबसे बड़ा उत्पादक राज्य कौन है? Question (3) Which place is the diamond extracted from India? भारत में सर्वाधिक हीरा किस स्थान से निकाला जाता है? Question (4) Where is gold found in India? भारत में स्वर्ण कहाँ पाया जाता है? Question (5) Most of the coal reserves are found in India? भारत में सर्वाधिक कोयला भण्डार पाए जाते हैं? Question (6) what are the main deposits of mineral oil in which rocks? भारत में खनिज तेल के भण्डार मुख्यतः किस प्रकार की चट्टानों में पाये जाते हैं? Question (7) The production of mineral oil was first introduced In India? भारत में खनिज तेल का उत्पादन सर्वप्रथम प्रारम्भ किया गया था? Question (8) Where is India’s most important uranium mine located? भारत की सबसे महत्वपूर्ण यूरेनियम खान कहाँ स्थित है? Question (9) Which is the state of India which is ahead in the production of sulfur? भारत का वह राज्य कौन-सा है जो गंधक के उत्पादन में आगे हैं? Question (10) Ankleshwar is known for whose production In India? भारत में अंकलेश्वर किसके उत्पादन के लिए जाना जाता है?